The Ultimate State of Personal Power – Attitude! How is it that some people are able to harness the fortitude to overcome every obstacle that life throws at them while others give up and surrender their dreams? What kind of elusive personal power makes it possible for guys like Thomas Edison to achieve success after ten thousand failed attempts? And what driving force motivated Walt Disney to unlock such massive creative ability after he was fired from his newspaper job because he lacked original ideas? We all have an answer to all these questions and the answer is that we all have ‘choices’. We can choose an inner dialogue of self-encouragement and self-motivation, or we can choose one of self-defeat and self-pity. It’s a power we all have. This is a part of the personality known as the Attitude. Each of us encounter hard times, hurt feelings, heartaches, and physical and emotional pain. The key is to realize it’s not what happens to you that matters; it’s how you choose to respond. Each of us has a mental framework which we use to frame our view of life, to give events and experiences a consistent meaning. It enables us to interpret reality in a consistent way. One of the most important steps you can take toward achieving your greatest potential in life is to learn to monitor your attitude and its impact on your work performance, relationships and everyone around you. Attitude means perspective or viewpoint. Just to clarify, we are not talking about specific attitudes such as your attitudes to art, religion or Justin Bieber – although such attitudes could reflect your underlying Attitude. Nor are we talking about having ‘attitude’ in the sense of acting tough. 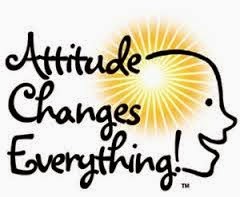 We are talking about Attitude as a major component of personality — the overall orientation of the mind, a fundamental mindset that is with you for life. The loudest and most influential voice you hear is your own inner voice, your selfcritic. It can work for or against you, depending on the messages you allow. It can be optimistic or pessimistic. It can wear you down or cheer you on. You control the sender and the receiver, but only if you consciously take responsibility for and control over your inner conversation. Think of it as the lens through which you see your life unfolding. Your Attitude sits alongside your other major personality components — the Goal and the Mode. · Your Goal is what you want most deeply out of life, both in general and in any given situation. Dominance and Acceptance are examples. · Your Mode is how you go about getting that — cautiously, for example, or perhaps aggressively. · Your Attitude is how you interpret your life experiences — your individual take on life in general — how you make sense of reality. Replace the word can’t with can. Know that you can, believe that you can, and know will all of your heart that you will. You will succeed in spite of any obstacles that may try to hinder you! 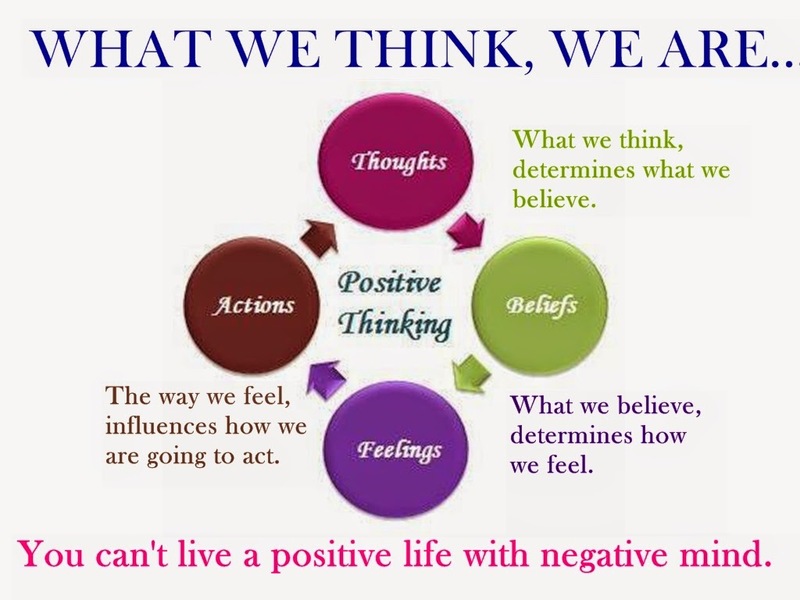 There’s so much power in having a positive attitude, positive mindset, and positive outlook.